Times are changing, and so is the look and feel of your home. There's technology that's already available and currently on the way to make your living experience that much more convenient. Take note of some of the most impactful developments that change the way you accomplish daily duties and check the status of your home from wherever you are. Cellphones have come a long way since they first came about. A device that once only made phone calls can now be used for everything from surfing the Web to checking bank statements and depositing checks. Now, it can also allow you to control certain devices in your home, and this type of technology is expected to gain popularity in the coming year. Imagine being able to control things like the overall temperature, humidity levels and air quality from your mobile device, no matter where you are. With the right devices, like the Holmes® Smart Humidifier with WeMo®, you're able to program start and end times, get notified when the water in your humidifier is low and be reminded when it's time to change filters. All you need to do is download the app to your mobile device and start controlling your home's humidity levels in the palm of your hand. Robotic assistance is currently available to help with household chores. You've likely heard of devices that take over tedious home chores, like vacuuming. 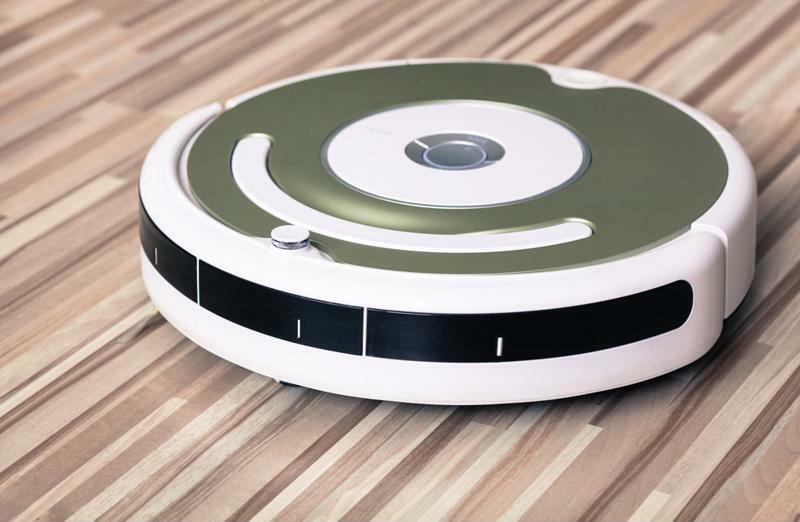 There are many robotic devices that can be programmed to vacuum your entire home without even lifting a finger. In 2015, you can expect robot assistance to become more popular. There are many products currently available, like automatic floor washers, kitty litter cleaners and interactive alarm clocks that drive away and force users to physically get up to shut them off. Be on the lookout next year for similar advancements that may be able to replace your least favorite household duties. Imagine going away on vacation and being able to tap into your home's security system to check on its status. There's technology and mobile apps available that allow you to monitor the security of your home no matter where you may be. One up-and-coming feature even includes face recognition software that detects when strangers arrive at your door and scans them for past criminal activity. With technology like this on the way, it gives even the most anxious homeowners peace of mind that their homes remain safe whether they're home alone or far away on vacation. Popular in Japan and throughout Europe, the automatic toilet is becoming an international convenience. Upon sensing motion, the toilet lid automatically opens, eliminating the need to manually lift it. There's also technology in place to heat cold seats and automatically flush. They're available to the public in certain parts of the country, and they're also sold at certain retailers for home use. "This technology won't let you leave a room without hearing a pre-recorded message." Not only can you add notes to your smartphone to remind you of certain events and tasks, but there's also a trend that takes this helpful feature a step further. Certain devices exist to play a pre-recorded message when a person enters and exits a room. Most helpful for those with dementia, this technology won't let you leave a room without hearing the message. Never again will you mistakenly leave the stove on or forget to unplug your iron. Just program the device to remind you, and you'll be more likely to avoid certain accidents. Key finders and remote control locators are nothing new. However, certain functionality makes it possible to attach a button to the wall that, when activated, sounds an alarm on a tagged item until it's located. It's perfect for those who constantly lose their most important items.